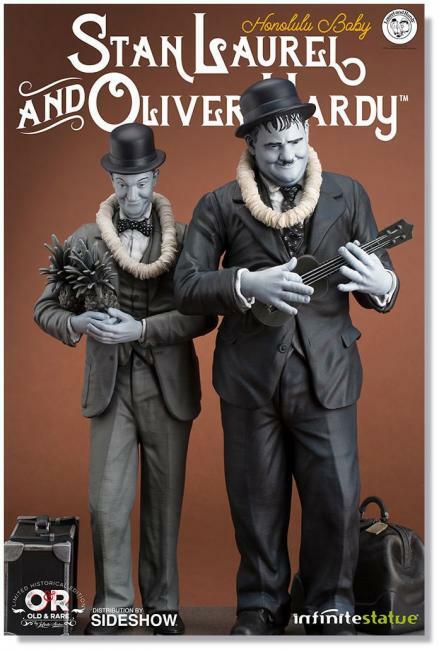 Sousoší Laurel & Hardyho vytvořené podle filmové předlohy the Honolulu Baby hymn vycházející z grafického designu je vysoké cca 28 cm s detailním zpracováním. 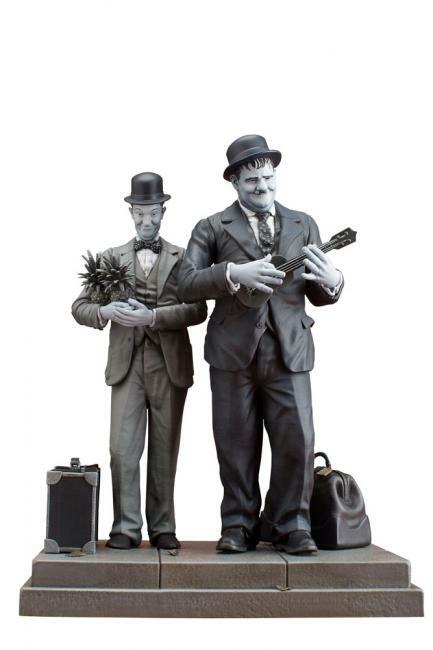 It is the most loved double act of all time, the duo par excellence that made entire generations laugh, never losing their expressive strength. 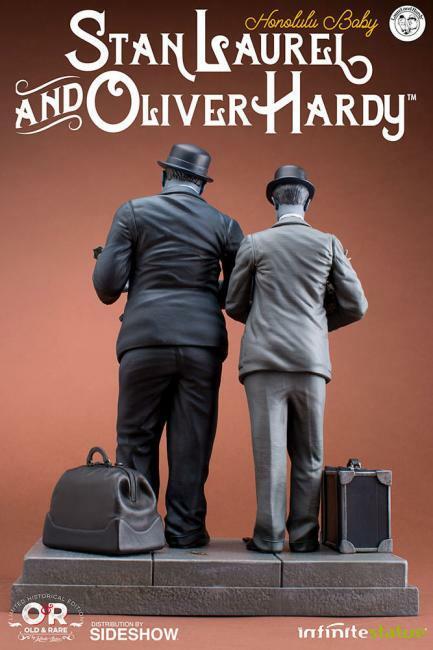 The pairing between the Englishman Laurel with the so American Hardy gave birth to something unique that even today attracts new fans from all over the world. Dozens of books have been written about them, their best films have been restored and brought back to cinemas, like "Sons of the Desert", which gave the name to the oldest global fan club in the history of cinema. 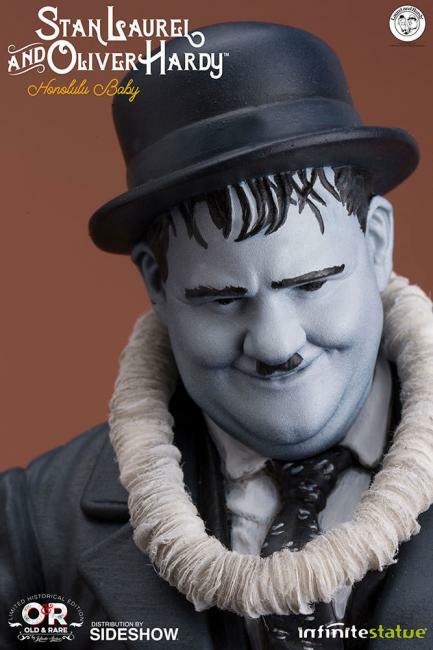 Laurel & Hardy are not just icons of silent movies and of the first sound films, they lay the foundations of comedy art and slapstick gestures. 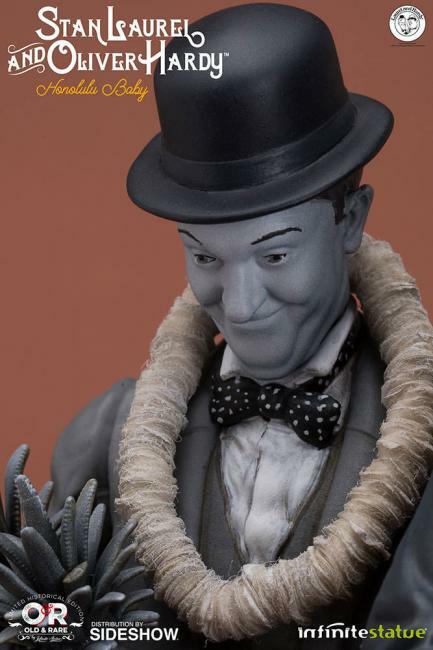 Their sketches are true milestones of comedy, which influenced all that came after. 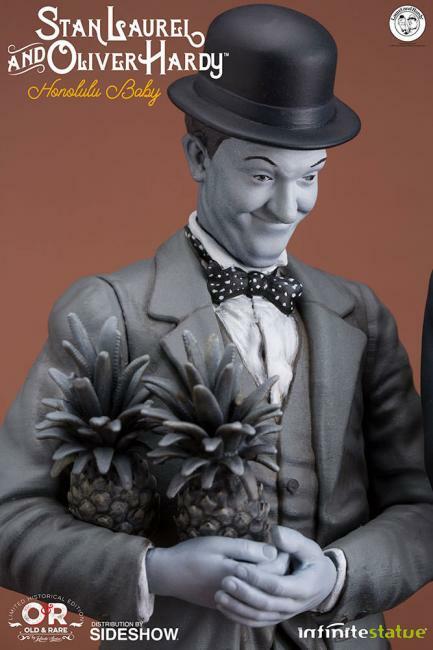 Infinite Statue is proud to present its first tribute to Laurel & Hardy s art. "Honolulu Baby" is a hymn to the greatness of two timeless artists captured in one of their most beloved movies.